to go easily from desk to tote bag or purse. of Rennies for years as well. Faerie Magazine is known for its phenomenal photography and as well exclusive advertising from companies that exist in "another realm" of talented artisans and unique goods. 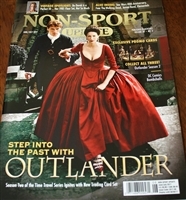 The Autumn,issue they features a "travel through Time" theme highlighting almost everyone's favourite "Outlander". The 16 month 2019 Outlander calendar features wonderful scenes from the Starz Outlander television series. With this 16 month, 6"x5" desktop version each day is a new page! 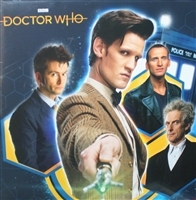 Printed on high-quality paper it features full-color pages throughout and is packed with images and quotes for a daily dose of your favourite series! It includes all major and significant holidays and comes with built-in easel display. A great gift...and one for yourself too ! Please look at photos and realise this is not a big spread or anything, just the cover graphic and one inside with a small article. 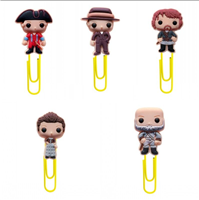 convenient 6x9 size to go easily from desk to tote bag or purse. 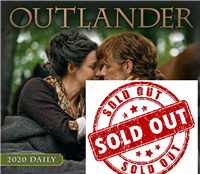 for Outlander Series 3 and come mint and completely sealed in plastic and shipped just as we receive them from the publisher. for Starz Outlander. Mint condition, unused. 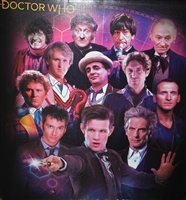 Whovian....and right now it comes with FREE JAMMIE DODGERS ! 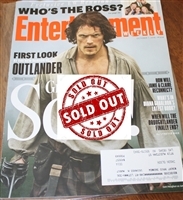 The full set of the 2018 3 magazine set from Entertainment Weekly featuring Outlander articles and three different covers. Last year's became a collector's item and we have this year's now too ! Don't hunt all over, order them together in one batch. 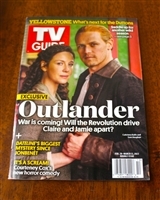 The response to the great Scots Outlander issues did did so well, they decided to do a special edition just brimming with facts and trivia about all things Outlander. Discover filming locations, Scottish myths and legends, must-see historical places, and the real-life history and inspiration behind Outlander in this 84-page guide. free shipping and as always a cup of tea and a cookie to share with you. International shipping as well...with discounted rates. The response to this was so great Scots did reprints aimed just for America. 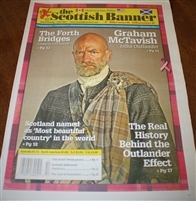 A different cover and a few more "American" friendly adverts switched with the Scottish, but the SAME Outlander spread. 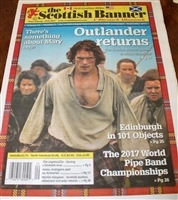 From Scotland, the Scots Magazine March 2018 issue features a full 13 page spread devoted to Outlander as well as many other of its usually wonderful articles. This magazine sold out within an hour of our first delivery and as well the entire first printing was so in demand that Thompson published new issues to be distributed exclusively in the United States.. 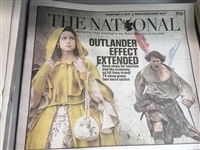 Some content (not the Outlander spread) was changed to make the magazine more " Americanised" and as well it has a different "special edition" cover. 2017 Outlander calendar featuring wonderful scenes from the Starz Outlander television series. NOTE: this DOES have an address label on it.